Consumers who purchased certain Trek bicycles are advised to consult an authorized dealer regarding a recent recall, which was issued after a rider suffered injuries that led to permanent paralysis. As veteran product liability lawyers, the team at Hardy, Wolf & Downing has served as advocates for clients suffering from a range of injuries inflicted by defective products. Whether an injury is temporary or permanent, victims deserve to be compensated fairly for their losses. Our product recall lawyers are already reviewing cases of individuals who have sustained injuries while riding Trek bikes. Individuals who have Trek bicycles are strongly urged to avoid riding them until they have been assessed for safety problems and, if need be, modified by an authorized dealer. The Trek bike recall affects nearly one million bicycles, including 900,000 in the U.S. and 98,000 in Canada. The safety problem involves a quick-release lever that opens past 180 degrees. The lever is located on the bike’s front wheel hub. In the event that the lever isn’t adjusted properly or if the lever is left open, it can become caught in the front disc brake assembly. When this occurs, it is possible that the front wheel can either come to a sudden stop or that the front wheel can completely separate from the bike. 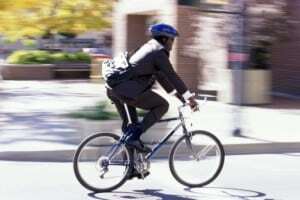 In either case, riders are apt to lose control of the bike, leading to an increased likelihood of injuries. To date, three incidents have been reported as a result of the design flaw. All three of those riders sustained injuries. In addition to the unidentified rider who was diagnosed with permanent quadriplegia, the other riders sustained injuries to the face and a fractured wrist. The extensive recall affects all Trek bicycles manufactured between 2000 and 2015. All models of Trek bikes that have front disc brakes and a silver or black quick-release lever located on the hub of the front wheel are affected by this safety issue. The recall does not affect bikes that have a quick-release lever that does not open wider than 180 degrees. The affected bikes range in price from $480 to $1,650. In its safety recall notice, Trek informed its customers that they will provide replacement of the front quick-release lever on all affected bicycles, free of charge. The offer extends to both quick-release levers with and without washers. Customers can take their bikes to a Trek retailer for a free inspection to determine if their products are potentially unsafe. Although taking an affected bicycle to a Trek retailer for an inspection and, if needed, replacement of the defective part is strongly advised, Trek customers who have been injured while bicycling have additional options available to them. If you sustained an injury because of a defective bike part, you shouldn’t have to pay your own medical expenses or cope with lost wages. With the product liability lawyers at Hardy, Wolf & Downing on your side, you can demand compensation for your losses. Our veteran legal team is offering free, no-obligation consultations to individuals who may have suffered injuries as a result of defective products. Call 1-800-INJURED for additional information.